Mom was the first to rise. I would peel open an eye to catch her brushing on mascara while Dad snored. Our one bedroom smelled of Shiseido moisturizer and the coffee that pulled her from fatigue into her day. The breakfast rice swelled on the stovetop. I went back to sleep. I remember the colors of Christmas. We never had a tree, for the lack of space and the frivolity it was. But the lights we did, tiny red and green bulbs a scant garnish on the rail of my top bunk. Every December I’d tramp through grey snow slush to Woolworth’s with my cousins, the giant five and dime that offered everything under the New York sun. Chocolate, Maybelline with all her wares, Arrid roll-on deodorant, lines of nail polish. Instead of walking out with Christmas presents for friends and family, every holiday jaunt I would leave the store thinking, “I’ll have some money next year.” And it took me 14 years to realize next year never came. But my parents still came through. Mom would do what she had to, ride as many subway cars as she needed to procure what her kids asked of her. Resources on the state of Maine for a school project, the cheesecake her girl loved. One call to the restaurant where she waitressed, and she came home arms full with shiny travel books and the box from Zaro’s bakery on Grand Central. She kept our home tidy between and around the 14 hours of work; and though she could’ve better discriminated how she fed us, my brother and I were never in want of food. She asked nothing of me, not even the dishes, except that I do my best in school. Like many of us, I grew up with no iGadget, the closest thing being Atari. Yes, I want it, Daddy. I could feel the weight of the purchase on his shoulders in the store. I got so good at the video game, I could play Froggie upside down. I lay, hair fanned out on the carpet, chin to ceiling, and steered the frog on the TV screen across the perilous highway whole and happy. My mother woke resolute every morning. She worked so hard I wonder if she even had time to be afraid. I sacrifice sleep not to keep clothes on my son’s back but for the gratification of my art, the joy of writing in these secret hours. Although I’d rather do without it for spiritual reasons, it meant everything to me to be able to get the tree five years ago – not only Tennyson’s first Christmas tree but his parents’ as well. One taller than we are with ornaments we had never handled to help make for our boy fuller memories of tradition we never knew. 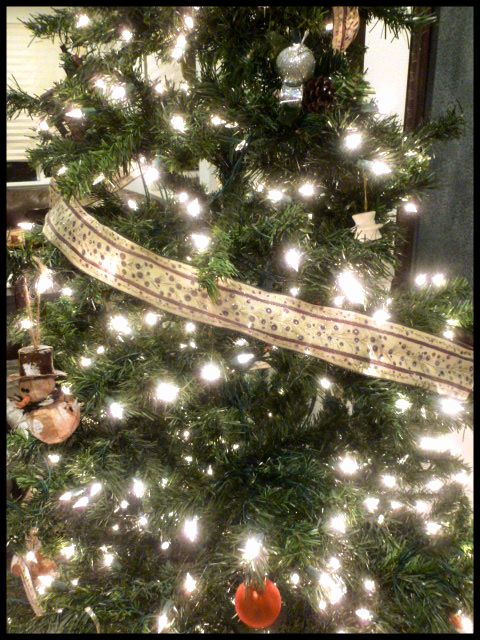 We had afforded him something to decorate and bring alive into the magic of the season. I am seeing how the question of sufficiency impacts the choices we make and how satisfied we are. Do I make enough, have enough?Is he good enough to marry? From all the jokes on the last post, is she good enough to keep? Does my child? Have I lost sufficient weight? Are my grades up to par? Were my parents enough? Am I smart, capable, healthy enough for the project, job, race? Have I accomplished enough? Each question makes for a post, if not a book. The resentment I held my parents to much of my life was the assertion that they were deficient. While they did lack greatly in some respects, I am seeing with the years that they did not have much by way of emotional resources. They did what they could with what they had. For me. Although my husband asks little of me, it is when I want him to do or be more that I become discontent. My child comes to me and expresses his grievance when I wound him but he always returns to the place of forgiveness. I am astonished to find that to him, his father, and my parents, I am more than enough. I also have deeply loyal friends. And here you all are. I am so unworthy. No need to correct me; I didn’t say worthless. You would unfollow if you knew the thoughts I spin sometimes. We don’t know one another’s unfiltered story. But this I can tell you. I am so very rich. This entry was posted in Family, Personal Growth and tagged Children, Dreams, Hope, Inspiration, Kids, Life, Love, Marriage, Money, Parenting, People, Relationships, Women. Bookmark the permalink. This is so utterly beautiful. I could feel, hear, taste and smell the memories of your childhood and relate them to my own childhood. I will be coming back for more of your delicious words. Happy New Year! Quite the feedback. THANK you for the heartfelt input and the follow. Welcome to A Holistic Journey.